Trump urges all countries to take "decisive action" against the Taliban following deadly attack in Kabul. 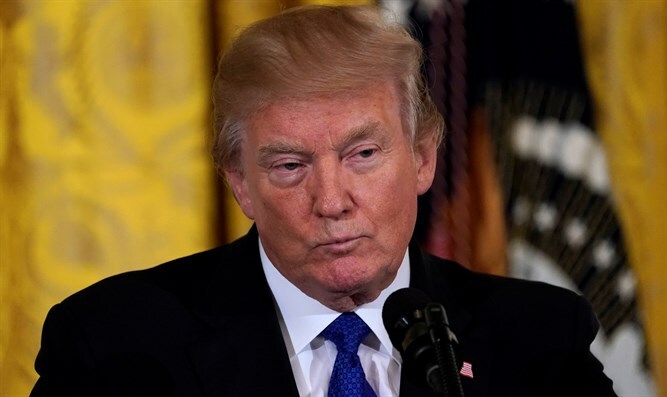 U.S. President Donald Trump on Saturday called for "decisive action" against the Taliban after a bomb attack killed at least 95 people in Kabul, the capital of Afghanistan. "I condemn the despicable car bombing attack in Kabul today that has left scores of innocent civilians dead and hundreds injured. This murderous attack renews our resolve and that of our Afghan partners," Trump said in a statement quoted by AFP. "Now, all countries should take decisive action against the Taliban and the terrorist infrastructure that supports them," he added. "The Taliban's cruelty will not prevail," Trump continued. "The United States is committed to a secure Afghanistan that is free from terrorists who would target Americans, our allies and anyone who does not share their wicked ideology." An explosives-packed ambulance was used for the bombing which took place in a crowded part of the Afghan capital. Terrified survivors fled the area which was scattered with body parts, blood and debris, and hospitals were overwhelmed by the large number of wounded, who numbered at least 158. Secretary of State Rex Tillerson also condemned the "senseless" attack, insisting there can be "no tolerance for those who support or offer sanctuary to terrorist groups." "The Taliban's use of an ambulance as a weapon to target civilians represents inhumane disregard for the people of Afghanistan and all those working to bring peace to the country," Tillerson said, adding that the attack breached "the most basic international norms." "All countries who support peace in Afghanistan have an obligation to take decisive action to stop the Taliban's campaign of violence." Although Tillerson did not name any specific countries, Washington has repeatedly accused Afghanistan's neighbor Pakistan of neglect in cracking down on terrorist groups such as the Taliban or their Haqqani allies. In January, Trump blasted Pakistan, denouncing the country's "lies" and "deceit" in the fight against terrorism. Days later, the U.S. suspended more than $255 million in security assistance to Pakistan until Islamabad takes action against the Taliban and the Haqqani network.